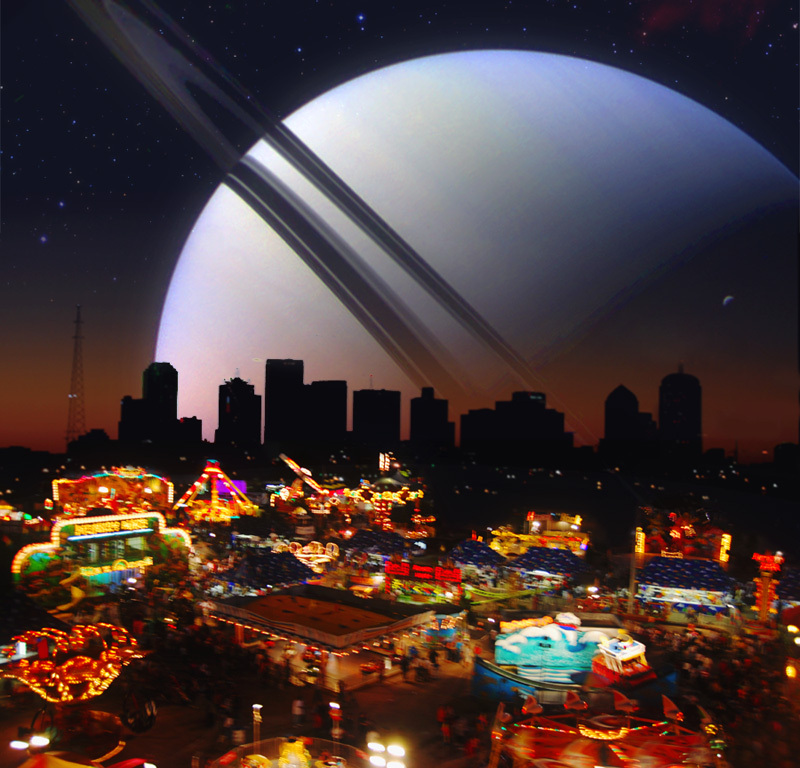 The Carnival of Space is hosted this week by Lights in the Dark. It's an especially interesting range of topics this time. 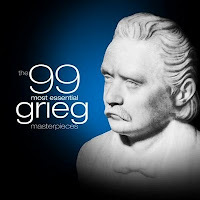 As I wrote back in July, there is an excellent series of "99 most essential" works from various classical composers offered as MP3 collections from X5 Music Group. The regular prices are in the $6 to $8 range, which is a good deal for many hours of quality classical music. But Amazon sometimes offers introductory specials on new collections for around $2, which is a crazy good deal (about 2 cents per musical piece). Recently two new composer collections were released, Dvorák ($2.49) and Grieg ($1.99). I had only heard a few of their best known works before, so I was happy to expand my knowledge and my music collection for just a couple of bucks. The MP3 sound quality is good and most of the multi-movement works are included in full (all movements in order), though there are also some excerpts. Wow, I'm beating my last month's blog post output in one day this month (3 posts wasn't hard to top). I don't know how I learned about this book, but I ordered a cheap used copy and it arrived the other day (in great condition - I still love Amazon's third-party used book sellers, even as I spend more and more of my book dollars on e-books). Imagining Space (Achievements - Predictions - Possibilities, 1950-2050) was written by Roger Launius and Howard McCurdy and published in 2001. The text is well written and surprisingly relevant considering all that has happened in the last nine years. The working assumption is that commercial ventures will dominate space development in the first half of the twenty-first century. Not that there won't be setbacks, and we're still a few years from an orbiting Hilton, but that seems to be starting to happen with the current redirection of NASA. It's still a few years to 2050. The text is good, but the special treat is the great selection of images. There are some photographs but most of the illustrations are paintings by space artists starting of course with the great Chesley Bonestell, who practically defined the space age with his paintings and magazine illustrations in the 1950's. This sort of colorful, large format book still needs to be paper, and preferably hard cover (though I imagine it would look pretty good on an iPad). 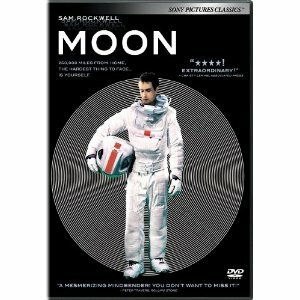 I saw the movie "Moon" on an international flight some months back. It was seat-back video in economy on a 777, so we're not talking big screen here. I was probably tired too. I wanted to like it, but I thought it was stupid. When it showed up as a streaming Netflix movie (in HD), I decided to give it a no-cost second chance. I'm glad I did, because on a good size screen, the visuals were really cool and "realistic" in a 2001 sort of way. I liked Sam Rockwell's character, and this time I caught the early clues as to what was going on, so it didn't seem quite so arbitrary and confusing. Still quite implausible, but it paid off my suspension of disbelief well enough to forgive the original premise. That premise is a lunar far-side Helium-3 mining base (in the semi-near future) that is essentially 100% robotically operated, except for a single human troubleshooter employee who is stationed there alone for a three-year tour, during which the lunar communication relay satellite that would allow direct communication with Earth seems to always be out of commission. I won't spoil it otherwise, but Sam eventually figures it out, with some significant help from his sidekick, a robot named Gerty (voiced by Kevin Spacey). Part of what's implausible is that with robotic AI technology as smart and sensitive as Gerty, why couldn't the base be completely robotic (with some help from telepresence systems that would allow Earth or lunar near-side humans to do the troubleshooting without living in total isolation for three years - or something like that). One parallel with 2001 is a robotic assistant who (which?) goes crazy. Unlike HAL, Gerty doesn't become a psychotic murderer, but he does go so far outside of any conceivable programming that you could only call it crazy helpful (it's nice when your robot buddy tells you how to selectively erase some of his memories to prevent the boss humans from learning about something you're trying to hide that he/it would otherwise have recorded and would report). But hey, it's just a movie, and a pretty enjoyable (though sad) one at that. CK12.org FlexBooks - Very Cool! I stumbled on this while looking through Amazon's list of free e-books for Kindle. I've gotten some really amazing free books since I started using the Kindle apps on my iPod Touch and PC, so I sometimes check. Many of the free ones are public domain books, classics and others, but sometimes you find recent books that publishers are giving away to promote an author or a series (this is how I discovered Naomi Novik's great "Napoleonic Wars with dragons" Temeraire series). CK-12 Foundation is a non-profit organization with a mission to reduce the cost of textbook materials for the K-12 market both in the U.S. and worldwide. Using an open-content, web-based collaborative model termed the "FlexBook," CK-12 intends to pioneer the generation and distribution of high quality educational content that will serve both as core text as well as provide an adaptive environment for learning. Cool. I also watched a video and found that these FlexBooks can be viewed in various formats, printed, and even customized by teachers! Wow. This is good. I will learn more. * the "well written" part varies by topic, with each chapter of this book written by a different author. I just read a chapter on on nanoscience that has several serious errors that completely change the meaning of some sentences. Textbooks need editors, even if they are free electronic textbooks. Here are a couple of recent musical discoveries. I've known Darrell Scott from one of his earlier albums ("Real Time," with Tim O'Brien) and from a couple of songs of his recorded by the Dixie Chicks (especially "Long Time Gone" from the Real Time album). But I recently bought his 2010 album "A Crooked Road," which is a real gem. I especially love the title track, so much so that I'm learning it to add to my repertoire of cover songs. The lyrics are great. The live radio performance shown in the video above is a bit different from the album version which has a guitar part in the style of McCartney's "Blackbird," but the live version is easier to play (he's tuned down a half-step in case you want to try it). 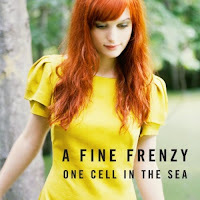 The other discovery is a singer-songwriter who calls herself A Fine Frenzy (actually Alison Sudol). She writes gorgeous melodies, and her lyrics and voice are nice too. "One Cell in the Sea" (2007) and "Bomb in a Birdcage" (2009) are both very good albums. She's something like 22 years old.